Most of you know by now that I moved to Alaska at the end of October, 2013. For those who don't already know: I moved to Alaska at the end of October, 2013. 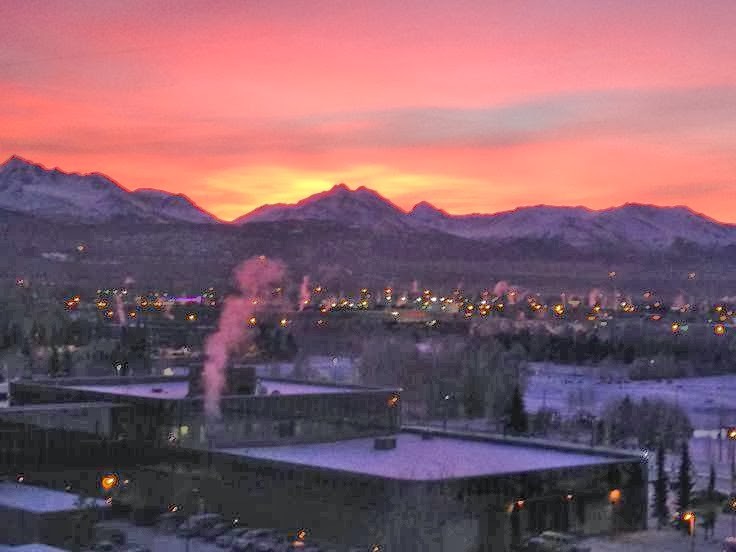 I moved here for a job; I work for the State of Alaska's Division of Public Health. I moved to Alaska right in time for Winter to start. Many people thought this was bonkers. But, truth be told, I've loved it. It was fantastic to get to work before the sun rose and leave after it set. No sun = massively improved lupus symptoms. I've even been able to eat normally this winter. But, alas, there is a flip side to this magical winter coin: for every long dark day there is a corresponding long bright day. I believe we have now crossed the point where our days are longer than those experienced by those of you who live in the "lower 48" (or in other countries not located in the sub-arctic). This means sun. Lots and lots of sun. This weekend the biggest dogsled race in the world, the Iditerod, started. This is a very Alaskan sort of thing... they have a week of celebrations leading up to the start of the race, culminating in (I kid you not) the Running of the Reindeer (think Spain's Running of the Bulls but with people in cute costumes and little tiny reindeer sprinting around them), and the ceremonial race start. 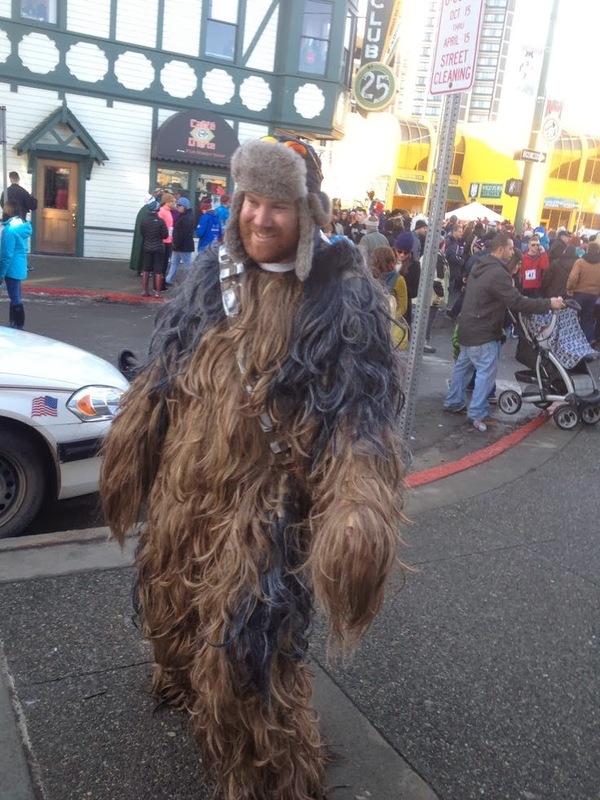 To summarize: people were dressed up as everything from Mario and Luigi to Chewbacca and there were adorable animals. Of course I went. Unfortunately, one does not hold such events inside. I daresay it would get very...fragrant. So I ended up standing outside with 12,000 other crazy people screaming like maniacs. Not a bad way to spend a Saturday...or so I thought. Fast forward to Sunday, when I realize in church that I can't sing the hymns because I feel like fainting with pain. And then realize I have a fever. And my joints hurt. And I'm exhausted. And my stomach hurts. Helllooooooooo flare. Of course, what does any strong, tough independent woman do in such a situation? She calls her doctor to tell him it's his job to make her all better NOW, dammit. The doctor, however, outsmarted her by being out of the office this week. Smart guy. Remission was great while it lasted. But I have a very strong feeling that my break from lupus/gastroparesis is about to come to a crashing halt. Alaska takes summer very seriously. Oddly enough, we already have long days, yet it's 20F outside. Tell me that's fair. I can get sick while getting frostbitten at the same time. So, I've come up with a brilliant plan: time share lives. If any of you healthy people live in, say, New Zealand or Bolivia and want to live in eternal summer, just contact me. You can spend 12 months in glorious summer. I'll live in Alaska for the Winter, then bop down to the Southern hemisphere for your winter. You can live in both summers. Ideal for you, Ideal for me. Just let me know in the comments and we'll arrange something!